We at BassSoldiers.com believe in trying to push the envelope with our passion for the sport of tournament bass fishing. In all aspects of our game we rely on the best, most cutting edge equipment and gear. 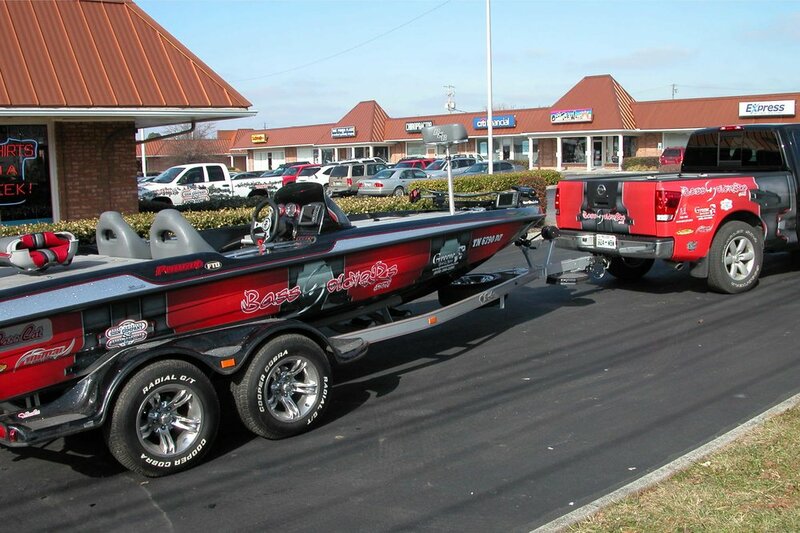 From custom built rods to the highest quality in bass boats, we try to be associated with premier products and companies. And that is exactly what you get at Great American Sign Co. Brett and his staff are very knowledgeable, professional and friendly. They are able to deliver awesome edgy graphic design that will demand attention. Just look at the awesome work they did on our vehicles and the other examples they have done and you can see, they are not like your ole ma and pa sign shop, you get quality and craftsmanship with an eye for strong advertising. And they give you hands on personal attention to getting you the work done to your specifications. Ultimately, you will get noticed! You would think that 'Yeah sounds good, but must cost a lot too!' Not at all, they will work with your budget and you will be pleasantly surprised at the cost effectiveness. We at BassSoldiers.com are proud to display the work they did on our equipment and will be using them for many years to come. Thanks Brett, you guys are awesome!